As Direct Selling entrepreneurs there will be times when we need to do what we need to do for success, when we need to do it — even when no one is watching. 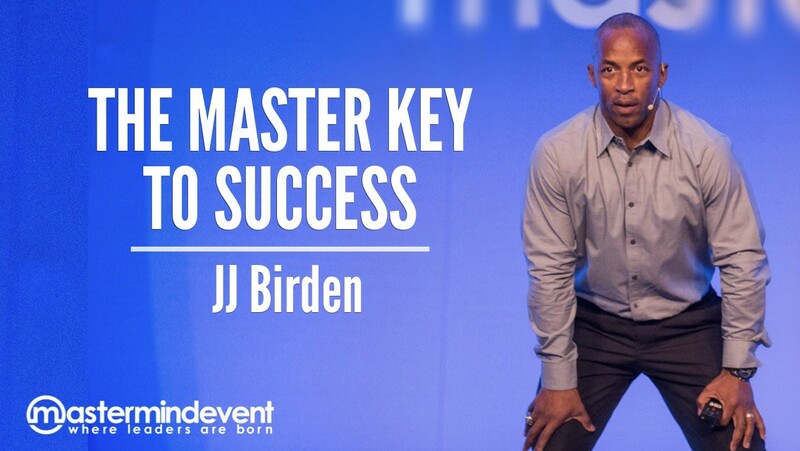 In this short clip from the Mastermind Event, former NFL star and current Direct Selling super star JJ Birden shares “The Master Key To Success in Direct Selling” … and it applies to just about everything in life. If you liked this content, click the 💚 below so other people will see it here on Medium. Want more tips to build your Direct Selling business bigger? Join tens-of-thousands of happy subscribers by signing up for our FREE Direct Selling Insider email newsletter. You’re invited to join us at this year’s Direct Selling Mastermind Event. The Mastermind Event is the longest-running, most trusted, well respected and relevant Direct Selling event in the world. Attended yearly by entrepreneurs from over 50 countries representing over 100 Direct Selling companies. The longest-running, most trusted, well respected and relevant Direct Selling Event in the World. Attended annually by entrepreneurs from 50+ countries. A publication for Direct Selling (Network Marketing) entrepreneurs — designed to help YOU build a bigger, more profitable, long-term business. Direct Selling Times is 100% free.